I have, for many years, labored under the delusion that the best teachers were those that got awards and children loved and talked about into their later years as remembering Mr. or Ms. So-and-so who inspired and believed and encouraged. I thought about those “Teacher of the Year” recipients as the ones who have imparted the greatest knowledge and wondered if I had been privileged enough to encounter more of them what my life would have been like. This was my delusion, as I stated previously, for so many years. In my more recent times, I have come to realize that the teachers in our lives are not always pleasant, loveable, enjoyable, or painless. More often, sadly, it is the nature of human beings to learn as much from adverse stimulus as from pleasure (though, yes, I know that pleasure is more likely to create a stable pattern of behavior). The point being, I realized quite suddenly one day that some of the most unpleasant experiences of my life came with some remarkably powerful (if difficult) lessons. What amazes me, consistently, is the way that people continue to replicate behaviors over and over expecting different results. Observing individuals run into the same brick wall over and over full tilt, even with people holding up signs, screaming, or trying to physically hold them back, has made me understand that gentle teachers cannot always make a difference until the subject is ready to learn. It is the definition of insanity, but they continue to do it. Over and over, they break themselves against an immovable obstacle… never noticing that they could walk around, or that there is a door in the middle. But that wasn’t really where I was going with this. I wish that I was one of the people that seem to learn the lessons on the first try and enjoy the success. That doesn’t really seem to be how my brain works. Instead it seems that my brain only absorbs the lessons that life offers through the application of repeated beatings with sticks, figuratively. What is worse is that I have had the opportunity to learn the lessons presented with less pain involved, but almost without exception, I find that the only way that the lessons truly take hold is with some dramatically unpleasant experience. I spent a lot of time resenting the “teachers” in my life, blaming them for my unhappiness and the memory of unpleasantness. I was angry, and I felt myself to be righteous in my anger towards those wielders of the educational stick (sometimes literally, for example the first grade teacher who broke the ping-pong paddle against my narrow back… yes, it happened. Corporal punishment was used in the stone age of my primary years). After a while (like maybe round about the end of my first abusive attempt at matrimony), I realized that the anger and resentment really wasn’t doing me any good and wasn’t making those who harmed me explode in large, impressive, Hollywood-style fireballs of glorious carnage (I guess I should have talked to Michael Bay about that?). Yes, you can tell I had some pent up rage going on. Point being? It was a waste of perfectly good emotional and cognitive energy. Sadly, even being able to let go of the negative emotions didn’t fix everything. It took one final stage before I truly got it. For years, I had been told that I overestimate the emotional attachments of acquaintances. Not in a delusional, erotomanic way; more in the way of being open to new friendships and welcoming them into an almost familial acceptance. I think this goes back to my days of living in the military brat mentality. To survive, you either made friends intensely and fast, or you were antisocial and content to be alone. Obviously, these are the extremes, but I do believe that the experience of living overseas in a closed community and moving around about every three years changed how I viewed social acquaintances. It didn’t occur to me that my acceptance was one-sided. It was horribly naïve of me, I know. I’m a psychologist, after all. I have observed and counseled a variety of people over the years to remove themselves from damaging one-sided relationships where they were being used. Physician (or counselor), heal thyself! · The good times are not when you find out who your friends are… It is when you are in need and at your darkest that you can see to weed out the users, fakers, and cheats. And more importantly? The truly hearty specimens of friendship are able to shine through the withering and choking vines. Oh… and alcohol does not make people sing or dance better. That one is not as much a lesson I’ve been taught as an observation that I feel compelled to share whenever I have the opportunity. This year has been especially enlightening due to several instances of having the curtain pulled back to reveal some rather devastating facts and severe disappointment in my own blindness: My horribly misplaced faith. This is all pretty dark, depressing, and cynical stuff. It isn’t all bad, though. 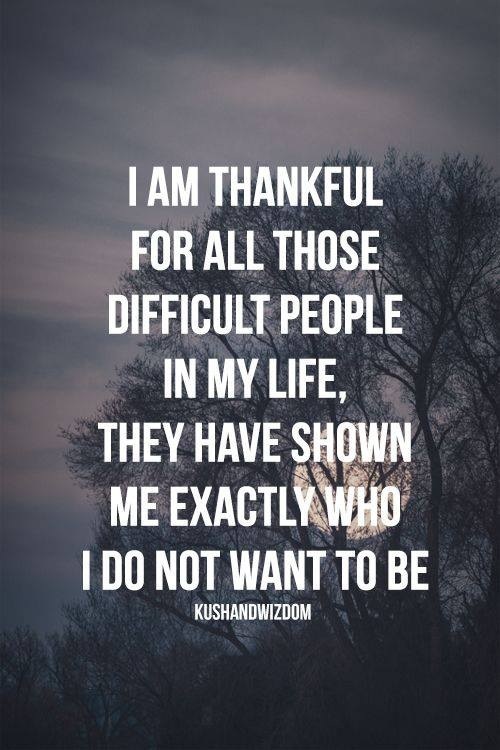 I have been amazed and humbled by some of the truly beautiful, supportive, and decent people who were overshadowed by the more grandiose deceptions of others. Understated loyalty is a much stronger statement to me, now, than other more flamboyant displays, and resentment does absolutely nothing to assuage the pain of betrayal. These are just the lessons that I have been “taught.” I didn’t always want to learn these lessons. However, I will bless my “teachers” in hopes that if I have learned my lessons I will not have to repeat the grade. Attack Of The Vapers: Hey You! Get Out* of My Cloud! It’s been a while, good readers, since I posted the last AOTV. Now that you are all up on your jargon and lingo in the world of vaping, and since the world at large has had other topics about which to foam at the mouth, and since vaping has taken serious hold with more people blowing clouds that ever… it is time to talk a little about a little something I like to call etiquette. Manners, people! That is right. We have all been taught them at some point, whether we actually absorbed the lessons, actively attempt to use them, or let them flow over us and pass on to continue in our unseemly gaucheness. So, what in the world have manners and etiquette to do with vaping? Well, I will happily tell you. As vaping has become more prevalent in the populace and gained popularity with smokers and former smokers alike, the various apparatuses and paraphernalia of vaping can be seen far and wide. For example, this past holiday weekend, I visited Atlanta for the annual gathering of science fiction and fantasy aficionados, Dragon Con (http://www.dragoncon.org). It is always quite an interesting time to be had. People are so creative in their cosplay… but I mustn’t get distracted. I might talk about that another time. For the last couple of years, we have seen people with electronic cigarettes. In fact, last year, we saw a pipe rig that went with a Gandalf type costume. Very clever, and for the non-smoking indoor situations, it was just right. However, this year, it was a whole new ballgame (or quidditch match, or Parrises squares…). The vapers were everywhere. They even had a meeting on Thursday prior to the start of *Con. Everywhere we went, the vapers would find each other and compare rigs or discuss tanks or talk coils and dripping juices. It had become a new phenomenon of the *Con experience. Those that vape together, flock together… or something like that. It was actually quite pleasant to find oneself walking out of hotel lobbies and through crowds outside without reeking of smoke, but merely experiencing a bit of various vapor (and vaper) odors and added humidity. Not so bad, really. Not always so marvelous to walk through; which brings me to what started this whole particular train of thought. I am pro-vape. I’ve made no secret about it. Financially and health wise, I’ve done the research, and I still feel that it is the way to go for those that do not fancy pharmaceuticals or enjoy the ritual of smoking and have no active desire to quit but are not so fond of the hit in the wallet or the chronic cough. There are still the hysterics out there who are screaming that it is worse for you be vaping than smoking… Um, no. Read a medical journal, or have one read to you and translated, but that hyperbole it most definitely is NOT. There is currently no medical research that indicates that vaping is worse than smoking. Is it better than quitting all together? Probably not. In fact, I will say definitely not, if we talk in absolutes. Paying for the equipment and supplies of vaping is more expensive than not using anything (but still less than paying for cigarettes or patches and drugs). And, yes, it would be healthier all around to quit cold turkey. But conversely, in that case, no one should drink alcohol or eat bacon (Now, I’m gonna get hate mail, and yes I know “all things in moderation”). Truth is people enjoy their vices. People should be free to do so, within legal limits and without causing harm to others. And… I got off on a tangent again. Then again, not really… that is a pretty good segue back to my original point. The fragrant clouds produced by vaping have been measured at considerably less carcinogen levels, less nicotinic particle levels (especially for people using zero nic juice), and less combustible toxicants than traditional combustible tobacco for both the vaper and the second-hand exposure. That doesn’t mean that it is ok to blow vapor straight into the face of the innocent bystander. There are still people who are very sensitive to the small amounts of residuals in the vapor, not to mention the liquid in which it the nicotine and flavors are suspended. It is not polite to indiscriminately puff away until the vapor is so thick you cannot see the person to whom you are speaking and said person can no longer breathe easily. Would you do that with a cigarette? No, or at least I hope not. That would be extremely rude, not to mention the disregard for your companion’s potential respiratory response (especially those sensitive to smells or allergic to smoke). The same can be said about vaping. While it may not be as noxious as smoke, non-vapers and non-smokers have the right to not be exposed unwillingly to something they have not chosen to do. In fact, many non-smokers choose activities and locations that are non-smoking to avoid breathing in air that may trigger anything from distaste to asthmatic arrest. So, what am I getting at? If the vaping community does not want to be branded as a bunch of rude, entitled jerks who put public health at risk with their inconsiderate disregard for their fellow patrons and residents on the planet we call Earth, try to be a little more aware of the non-vapers around you. It is unnecessary to blow a huge cloud of vapor into the face of the person next to or in front of you (or heck, even behind you if you are walking). In crowded or unventilated areas, perhaps cloud chasing is not the best activity. You can show off your latest build and your dragon impressions when not in close quarters with non-vapers. Try an apology if you accidentally blow a cloud into someone’s face. Even in vape-friendly establishments (not including vapor bars or lounges specifically catering to vapers), be reasonable. Cloud chasing on a quad-coil until the room is blue and the servers are tripping over the spill mats behind the bar? Bad idea, and very poor etiquette likely to result in having vaping banned from the establishment in question. No one is trying to cramp your style, steal thunder, or rain on your parade if you are a vaper, but it is just good manners to be considerate of the non-vapers around you. A bit of polite consideration of others might prevent other organizations, institutions, and businesses from putting the kibosh on our choices to vape. Thank you for your attention, and happy vaping y’all. *My apologies to the Rolling Stones for the artistic license.